New Leaf Publishing Group is a Christian publisher comprised of three imprints: Master Books, New Leaf Press, and Attic Books. Founded in 1975, we focus on providing quality faith-building titles for all ages in keeping with our mission statement of "Ink on paper to touch eternity." I took over as president of New Leaf Press in 1991. In the years since, the company has been blessed with tremendous growth, and I have tried to stay true to my father’s wishes and the company’s mission statement. Dad went to be with the Lord in 1992, but the work he started keeps moving forward, continuing to impact lives through the power of the printed page around the globe and in the fast-paced world of digital books. 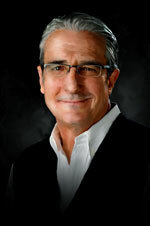 New Leaf Press maintains a strong reputation within the industry for unique, faith-building titles for all ages related to Christian living and incomparable gift books with enduring truths. Working with accomplished speakers, pastors, and ministry leaders, this line of books is all about inspiring believers and the church in a world struggling to understand God’s relevance and His love. 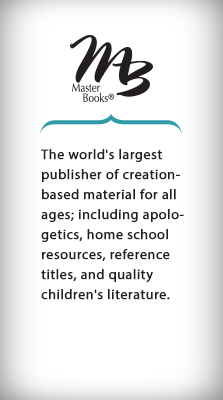 In 1996, New Leaf Press bought Master Books, also established in 1975 by the late Dr. Henry Morris and Tim LaHaye as what has come to be known as the largest publishing house in the world that publishes creation-based material exclusively. 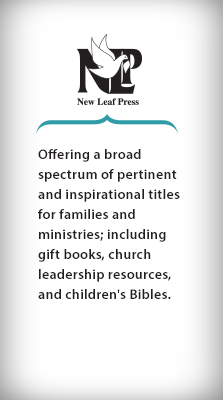 Since coming under New Leaf Publishing Group’s corporate umbrella, Master Books has enjoyed tremendous growth as a trusted source of vital resources in defending the faith. With a strong vision and a powerful mission statement as its guide, Master Books stands uncompromisingly on God’s inerrant Word. I feel that my father would be very pleased with this purchase and with the continuing work of promoting creationism for which Master Books is known. Needed now more than ever, the apologetics books and Christian curriculum resources with a biblical worldview are equipping generations of Christians to stand solidly in a lost and fallen world. Together New Leaf Press and Master Books publish around 40 to 50 titles a year. 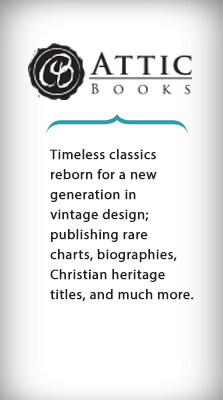 In 2009, New Leaf Publishing Group expanded with the addition of Attic Books, an imprint which chooses very select Christian titles from before the 20th century for replication. Using a process that preserves the natural aged look and unique styles of the period, these timeless classics are reborn for a new generation. From timelines to biographies and reference titles, these books are special treasures. We work hard each day to provide you with the service, quality, and resources you need to make important buying decisions for yourself and your family. Whether you need books for your church or you are making curriculum decisions, it is an honor for us to be able to serve you to the best of our ability. If we can be of assistance in any way, please feel free to contact us. Many people ask me the secret to our growth, and in turn, what is at the heart of our success as a mid-sized Christian book publisher. My answer has always been the same: the prayers of a mother. My mom remains a very strong and guiding force in the ministry of New Leaf Publishing Group – even before my first day as president and each day that followed. A new generation of our family is actively working within our company to continue our tradition of service with my mother as our inspiring example. Thanks Mom! And, thank you for visiting our web site; enjoy!